If you are looking for a strong, capable and affordable new truck come see the Ford F-150 in San Juan Capistrano, CA. Built with a high-strength aluminum-alloy body, this truck is ready for heavy hauling or towing. The F-150 also offers exceptional fuel economy and nimble handling. Find our best offers on new Ford F-150 for sale in San Juan Capistrano, CA. See Ford F-150 prices including lease and finance offers. Check our listings for current Ford F-150 incentives, rebates and special offers available near you. The Capistrano Ford Financing department will explain your options for buying or leasing a Ford F-150 near you. We offer a variety of affordable auto financing plans and can help you buy a car even if you have less than perfect credit. 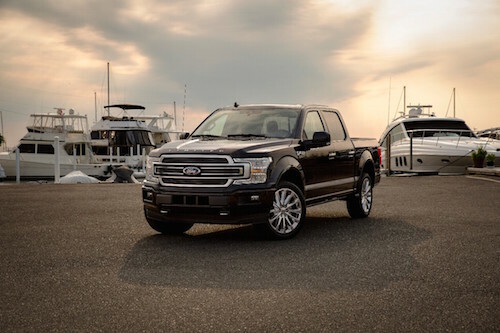 Contact or stop by our dealership soon to explore the full lineup of new and used Ford F-150 in San Juan Capistrano, CA.